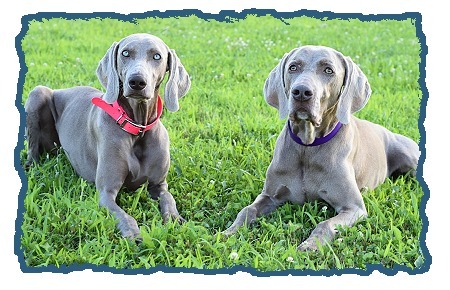 Weimaraners are the perpetual two year old – loveable, active, loyal to a fault, and with the attitude, “Its all about ME!” While I love them, I have to utter the time worn phrase, “Theyre not a breed for everyone.” But since there is no breed of dog that can live up to the universal wants and needs of all dog owners, the Weimaraner is a wonderful choice for many people. 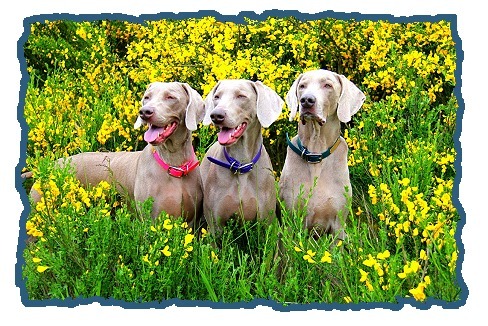 If you chose a Weimaraner as a member of your household, youve got to like a big, active, intelligent, hunting breed. Males can reach heights of 25˝–27˝, and weigh 70–90 lbs; females typically are 23˝ to 25˝ in height, and weigh 55–75 lbs. They are strong animals with the stamina and desire to work and play for long stretches of time. 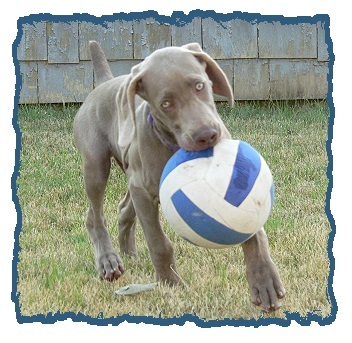 “Weimaraners need exercise,” these three little words cannot be overstressed. They need an outlet for all their energy, and they prefer exercise they can do with you.. They are delighted to join you in physical activities, revel in long runs in the field, and they consider swimming on a hot summer day is a treat beyond description. As a friend of mine always says, “A tired Weimaraner, is a good Weimaraner,” and Id add, “	…a happy Weimaraner”. Its hard to generalize about the Weimaraner personality but a core trait, that runs in the veins of all of them, is that they are people–centric. They love the company of humans to the point that they will follow you around your house like a second shadow. 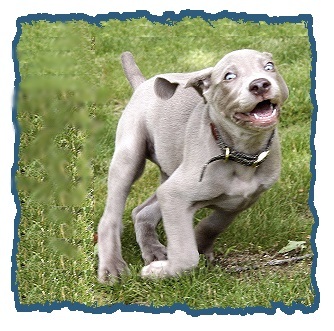 Weimaraners are always underfoot, curious, wanting to be involved in your activities. In my house every meal I prepare is supervised by a Weimaraner. Ive had them walk into the shower with me, poke their nose into any book Im trying to read and bark at the vacuum cleaner as if it was a humming, electrical monster that is trying to eat the rug. And then theres the issue of where they sleep. Their preference is to sleep as near to you as possible. If permitted, they will invade your bed and then try to take as much territory as they can. If relegated to a dog bed on the floor, dont be surprised if they drag it as near to your bed as possible. While their need to be with people can be wonderful it also works to their detriment. This characteristic makes them very difficult to kennel and separation anxiety is one of the most prevalent reasons cited when they are given up to Rescue. 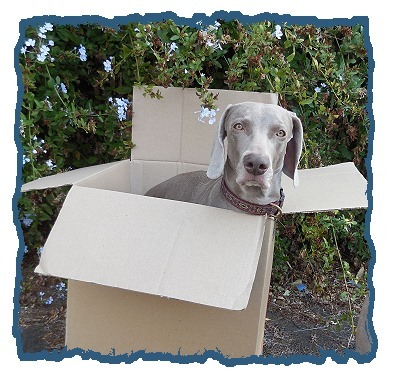 Crate training is highly recommended and should be part of the Weimaraners regular routine. 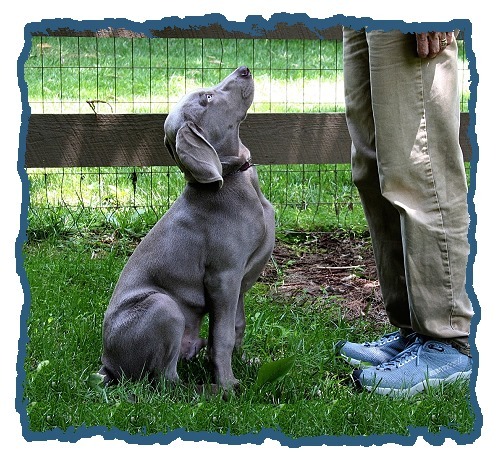 For a more academic description of the Weimaraner personality, the AKC standard describes the ideal Weimaraner temperament as, “	…fearless, friendly, alert and obedient.” Id agree, but with the caveat that the last one in that list is a learned behavior that needs to start when they are very young. If you dont train a Weimaraner to do what you want, theyre very creative and will pursue their own desires. A well trained Weimaraner is a joy to live with but an untrained one is hell on paws. 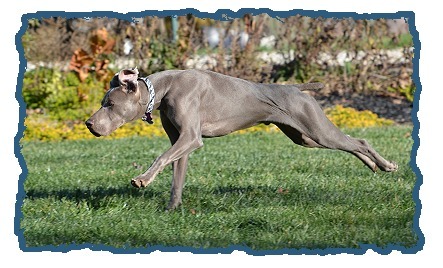 From puppyhood on, Weimaraners need consistent training that is applied gently but firmly to channel their high energy. 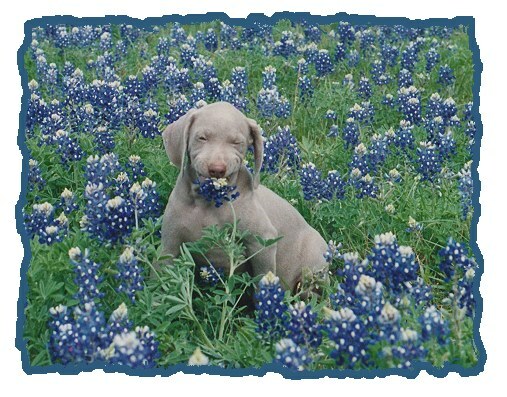 They are very smart and learn quickly, so never underestimate the intelligence and trainability of the Weimaraner. They are sponges just waiting to soak up experiences and learn. With skillful training even tiny puppies can learn basic obedience commands, point birds and retrieve to hand. Once they learn something (whether it is a good thing or a bad thing), its in their little heads forever. 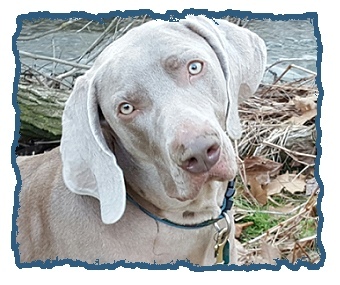 “Do Weimaraners chew a lot? Are they destructive?” The answers to these questions depend on a number of factors. Ive owned dogs that I swore were part beaver, while others are content to chomp on toys and other designated chewables. Part of it is learning, and part is making life interesting enough that chewing s not an outlet for frustration and a way to burn off excess energy. What comes to mind is the saying, “An idle mind is the devils workshop,” and I wonder if a Weimaraner inspired that quotation. Grooming a Weimaraner is a dream come true for those of us who are not inclined to the art of primping. Doing the basics of nails and teeth makes up the majority of the work. Their short, sleek coats wash out and dry quickly, making baths a minor chore. The frequency of baths depends on where they get to run. Being hunters, when they get to wander the fields, they will try to disguise their own scent by rolling in stinky things. They proudly and persistently put on “perfume” that only a creature with an inverse sense of smell would appreciate. The Weimaraner is a versatile breed. 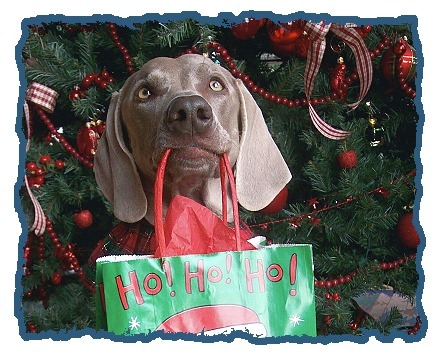 As owners, weve given many roles to Weimaraners and they continually rise to the occasion. They are loyal hunting partners, athletic Agility competitors, dazzling show dogs, gentle Therapy dogs and constant, loyal companions. The versatility of the Weimaraner and their need for activity to expend their physical and mental energy is a hallmark of the breed. 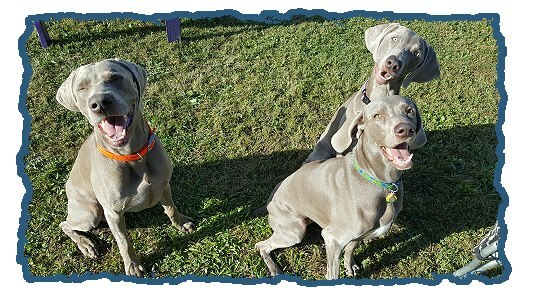 Weimaraners are strong of heart, full of energy and want to be with their people. Theyd make great politicians, trying to convince you that what they want is also in your best interest. Theyre smart, manipulative, athletic, endearing and persistent. As I list these characteristics, some of you are totally turned off at the idea of such a dog, while others are intrigued and thinking thats exactly what I want in a dog. 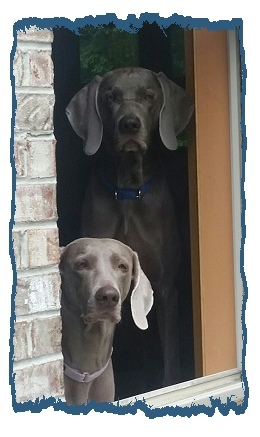 Personally, I can say that Ive shared my home with Weimaraners for over thirty years and cannot imagine life without one. Carole Lee Richards got her first Weimaraner in 1978. Although she, “	…just wanted a pet,” her interest in the breed has mushroomed, handling dogs in the show, field, agility and obedience arenas. For years she handled in conformation, pointing or finishing the championships on over 100 dogs and campaigning several dogs to Top Ten for their breed in the United States. Carole co–authored the award winning book, “Raising A Champion, A Beginners Guide to Showing Dogs,” which is now in its seventh printing. She has also contributed to a book that was published in England entitled “The Weimaraner Today” and published articles in a number of national dog magazines Her dogs appear in numerous books and TV commercials. 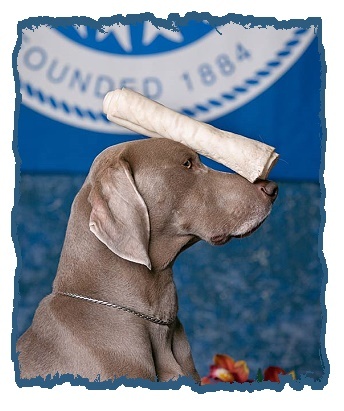 She is also the AKC Gazette breed columnist for the Weimaraner Club of America, an AKC Delegate and an AKC judge.